Here’s a beautiful picture of Bryce Canyon that I just had to share. Sometimes I go back and forth about HDR Photography, but sometimes I really like it. I like how he caught the view of the hiking trail in the way he did. 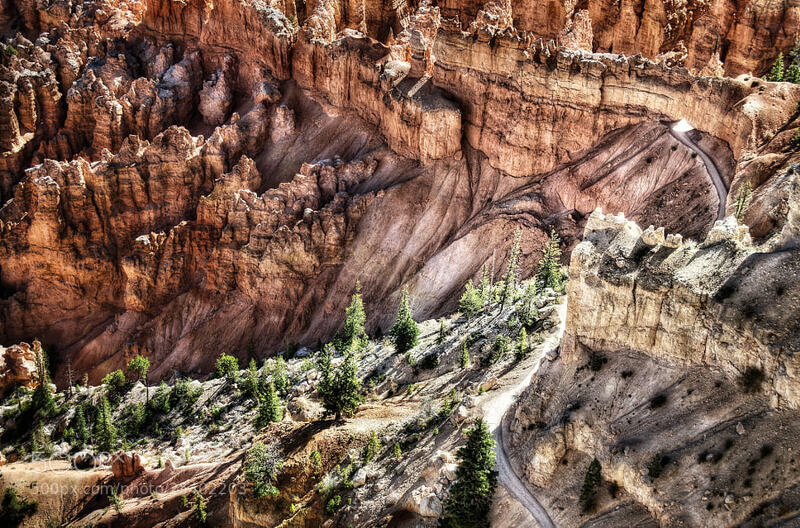 There are fantastic hiking trails in Bryce that don’t get as much love as they need. The overlooks and the views get all of the image love, but we often forget that most of the images are only possible by getting out of your car and hiking around.